An Aramean district and a small kingdom near Maachah (II Sam. xv. 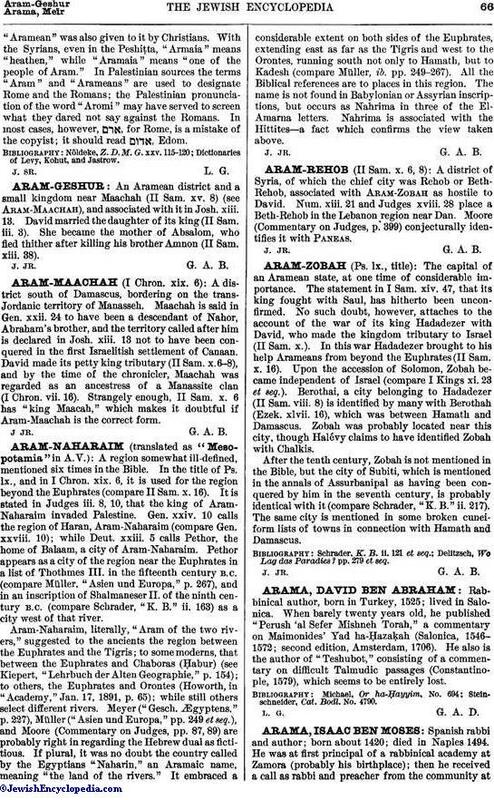 8) (see Aram-Maachah), and associated with it in Josh. xiii. 13. David married the daughter of its king (II Sam. iii. 3). She became the mother of Absalom, who fled thither after killing his brother Amnon (II Sam. xiii. 38).